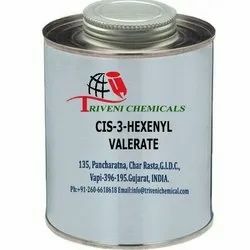 With our years of experience in the respective domain, we are involved in manufacturing and supplying Valerates. Our range includes Betamethasone 17-Valerate, Difluocortolone Valerate and Estradiol Acetate. We also meet the demands of Estradiol Valerate, Ethyl Pentanoate, Methyl Pentanoate. These are used in numerous industries for their purity, effectiveness and high pH value. Cis-3-Hexenyl Valerate (35852-46-1) is colorless clear liquid. it is also known as it is use in perfumery, food flavours, Aromatic cosmetic Soap Detergent and Fraganance Industry. Storage: Keep container tightly closed. Keep container in a cool, well-ventilated area. Isobornyl Isovalerate (7779-73-9) is colorless to pale yellow clear liquid. it is also known as DL-isobornyl isovalerate. Storage: Keep container tightly closed. Keep container in a cool, well-ventilated area.